Maggie Pistone: Joe... It's over, honey. 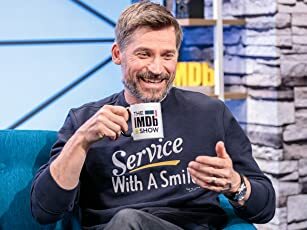 Come on, come home. Q: Was the ring at the beginning really a fake, or was Donnie just playing Lefty to get in with him? Q: What was the significance of the matchbook Sonny gives Lefty just before the boat scene? An absorbing, well made gangster movie. Mike Newell is the weirdest choice for director of a Mafia drama, but he actually makes a terrific fist of it, delivering one of the very best gangster movies ever made. Johnny Depp, Al Pacino, Anne Heche and Michael Madsen are all in top form in front of the camera, too. Depp plays undercover FBI agent Joseph Pistone in this intriguing true story. Pistone is trying to infiltrate his way into a mob family in order to gather evidence against them. He assumes the identity of "Donnie Brasco" and slowly but surely earns the love and trust of an old-pro hit-man named Lefty Ruggiero (Pacino). As the months go by, Pistone's marriage begins to fall apart as he is away from his wife (Heche) pretty much all the time. The line between his real life and his undercover life blurs together and he finds himself dangerously close to being seduced by the violent Mob lifestyle. 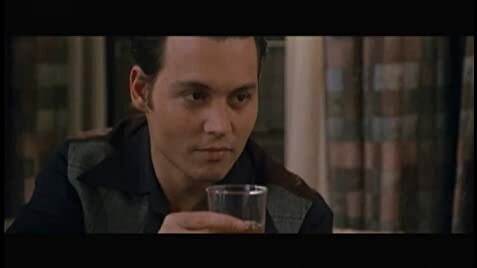 Donnie Brasco is an extraordinary film in many ways. As already mentioned, the performances are note-perfect. But there's so much more to it than that. The late 70s period details are impeccably captured; the dialogue is extraordinarily raw and realistic; the moral dilemma facing Depp is achingly, agonisingly conveyed. It's such a powerful picture, completely involving, that by the end you find yourself wrapped up in Pistone's predicament, asking yourself what decisions you would make in the same circumstances. 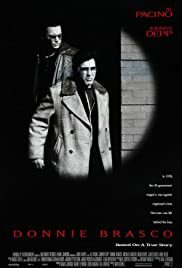 Very few movies genuinely inspire you to debate the whats, whys and wherefores of the main character and his actions... but with Donnie Brasco, that's just what you'll find yourself doing.